NaNoWriMo 2017 – How did I do? If you’re reading the title of this post and wondering what on earth I’m talking about, you might want to read this post first. It explains everything in a lot more detail than I am about to. For those of you that can’t be bothered with that or just need a little reminder, in November I tried my hand at NaNoWriMo. NaNoWriMo is a challenge to write 50k words (a novel) in the 30 days of November. I was more than a little skeptical and nervous as the first of November. It was a big ask, especially since I also started working full time during November. However, I did promise you an update. I’ve been checking in on Twitter throughout the month, but haven’t actually reported on NaNoWriMo over here on This Northern Gal. So here you go…. It feels so good to be able to type that! It was really touch and go for a while so it was such a relief to hit 50,000 words. I actually got to 50,410 on the 29th November. I also managed to write every single day between the 1st and the 29th, which I am very, very proud of. Some days, I barely managed 100 words. Others, I was hitting a word count that was a lot closer to 4000. I’m happy with both of those. They tell me that I showed up and put the effort in, even if it was a struggle that day! Now, the novel I was working on isn’t finished at 50,410 words. Part of the way through, I realised that it was going to be way beyond that point. I’m guessing that there will probably be another 20,000 words or so until the first draft is finished. And then I’ll need to edit and rewrite and edit again. After that, who knows? With that in mind, I’m still really happy with what I achieved this month. It’s not perfect, or finished but I did complete the challenge I aimed to. I also have 50,000 more words of writing than I did on the 31st of October, which is pretty impressive, if I do say so myself. And since, I’m flying high on my win, I thought I would share a little snippet with you here today. I’m super nervous about sharing this as I very, very rarely share my creative writing but I’m proud of what I achieved in NaNoWriMo. Parts of it may change, perhaps dramatically so please keep that in mind but – eek – here goes… This is from the very first page, if you do fancy having a read of my NaNoWriMo project. Elaiya Stoneheart was trying really hard not to kill her sister. Another bead of sweat rolled down her forehead, stinging her eyes but she did her best to ignore it. One twitch of her hand could sent the halo of fire around Erryn’s head into a dangerous spiral. There was barely an inch between the flames Elaiya controlled and her sister’s dark curls as it was. She couldn’t take her concentration off of it, not even for a moment. Though her own focus was on the ring of fire she was trying to maintain, Elaiya was more than aware of the eyes on her. Erryn’s eyes were locked on her hands, painfully conscious of the power in them. Behind her, their brother watched the silent exchange with a furrowed brow. His green eyes, every bit as bright as his siblings’, danced between two of his sisters, unsure who he should be watching. Occasionally, he spared a glance at his youngest sibling, who lounged against the wall, her arms crossed. Eva was desperately trying to avoid her sisters, keeping her gaze towards the floor but Elaiya could feel the intensity of her stare when she stole quick glances at the magic being wielded. Fire wasn’t Eva’s strongest element by far, but whenever the others wielded it, a hungry look claimed her face. No, Elaiya was far more concerned by the tall woman, who dominated the front of the room. She was the only person to have taken a seat. Her face was impassive as she watched the dangerous situation the Stonehearts had found themselves in again. From within that mask of unconcern, eyes not unlike Elaiya’s tracked every miniscule movement of the sisters. If one of them flinched, it would be this woman who would judge them. Her face would twist in cruel disappointment for a moment before she regained her composure. Then, her voice measured, she would insist that they try again. Once, she had made Elaiya stay submerged in a tank of water for an hour each day for a month. Ellenor Stoneheart was not a woman who accepted failure, not even from her grandchildren. Eek! There you go! 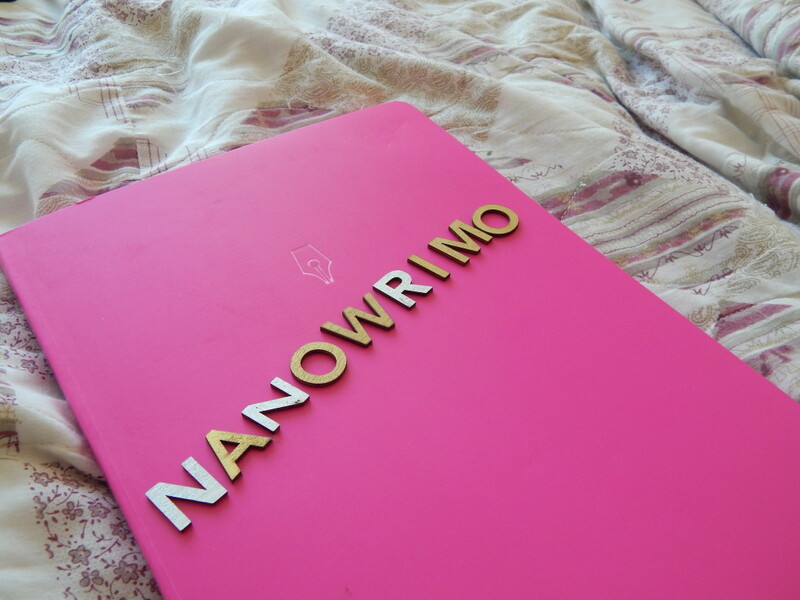 Did you try NaNoWriMo? If so, how did you find it?